Ed loves his family, friends, food, golf and ice hockey. He passionately believes that Christian education is as relevant and necessary today as it ever has been, and it brings him great joy to serve in an organization that seeks to help Christian schools flourish. Ed has been blessed with amazing leadership opportunities throughout his career and has leaned lessons on each leadership journey. 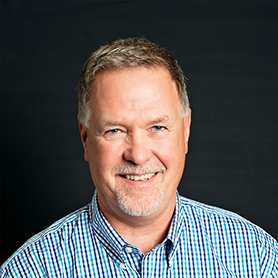 He serves as the Executive Director of the Society of Christian Schools in British Columbia, a vibrant organization that serves some 38 schools across that province. As well as being responsible for the organization as a whole, his duties focus on leadership, governance, policy development, and interfacing with associated organizations such as Federation of Independent School Associations, Christian Schools Canada, Christian Schools International. Schools across Canada, and in many international jurisdictions, are confronted with the need to respond to legislation and regulations regarding sexual orientation and gender identity. What core procedures and considerations should guide our response; equipping schools to journey towards thoughtful, proactive and biblically faithful policy development? This session will focus on how the entirety of the biblical narrative informs this discussion.